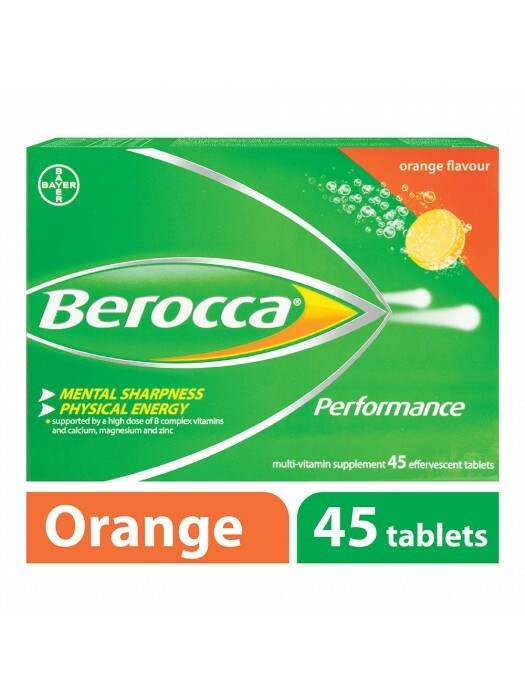 Berocca Performance is a unique combination of B-complex vitamins, vitamin C and essential minerals, like calcium, magnesium and zinc, which work to support your mental performance and physical energy throughout the day. Recommended for adults 18 years and above. 1 tablet a day dissolved in a glass of water.